 Callendar Pharmacy is fully engaged in NHS Forth Valley’s Pharmacy First Service. This service is designed to encourage patients to visit the pharmacy as their first port of call when they need advice and treatment for uncomplicated ailments and conditions, such as urinary tract infections and impetigo. The pharmacist can then issue a prescription if appropriate for treatment of the condition meaning you can get fast and efficient treatment without the need to wait for a GP appointment. The Pharmacy First Service is available both within GP opening hours and out of hours, when your GP surgery is shut (evenings, weekends and on public holidays). There’s no waiting for a GP appointment. You don’t even need to make an appointment to speak to our pharmacists, although best to come outwith times such as lunchtimes, when it can be very busy. A common eye condition that can affect one or both eyes. Common infections particularly in women which can affect the bladder. A common skin infection that is most usually seen in young children and can cause sores and blisters. A common yeast infection that affects most women at some point.